Before I attended Second Life®'s Community Convention in San Francisco earlier this month, I knew that Tezcatlipoca Bisiani (aka Andrew Sempere) was the Boston-based cross-eyed jackal avatar who conducted design research and taught computational art for IBM's Collaborative User Experience Group/Center for Social Software. I knew that he holds a Bachelor of Fine Arts from the School of the Art Institute of Chicago and a Masters of Science from the MIT Media Lab, and that he was the University of Kentucky's first Visiting Curator in Virtual Residence and that he curates IBM's art sims (Glyph Graves and Bryn Oh shows were nothing short of magnificent). 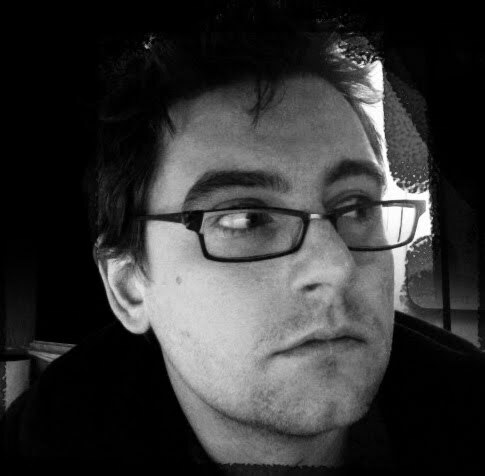 Andrew first experienced Second Life as an alpha tester for LindenWorld (circa 2001), but logged off "relatively unimpressed." Seems he returned to Second Life in 2006 and soon discovered "what LindenWorld had lacked: a community of skilled content creators whose work was playful, engaging and beautiful." When Bettina asked me to write about my experience at SLCC I thought perhaps I'd write about the keynotes (in general very disappointing), the incredible tour of the Exploratorium courtesy of Patio Plasma (amazing, thank you! ), the delicious NPIRL Dim Sum (all the food was PIRL, but honestly with Dim Sum that's just fine). In the end I think what I want to focus on here is us, and what we can do as a group to further the cause of shared 3D virtual worlds as a place for creative exploration, because much like everything else in Second Life, no one else is going to make it happen. If there was one thing that my visit to SLCC last week brought home for me it is the conviction that Second Life is not, and never has been, about the technology. It is not, and never has been, about Linden Lab, nor any other company or organization. Everything good about this universe comes from the people in it, in all their messy chaotic glory. I'm not suggesting that we ought to give up trying to influence our infrastructure, but whenever I used to speak about Second Life to people less familiar with it, I found myself in an uncomfortable position as apologist. Why was the server so slow? Why was the interface so difficult to use? What about those flying penises? No doubt you have fielded dozens of these questions yourselves, and to be fair to Linden, things are much better than they were, But I for one have always found these questions incredibly frustrating. They're not the right questions! Instead ask me this: Why would an otherwise sane and healthy adult professional work a full work week and then spend hundreds of hours logged into a virtual world? Why, exactly, do we care so damn much? In its specifics, the answer is as varied as each of us, but in general it all ends in relationships, and community, and the sheer joy of building a world with people of like mind. So these days, when people ask why I spend an inordinate amount of time in this odd artificial universe I have an answer, and if you read nothing else in this post, read this: it’s you (or most of you, anyway). It’s the community that includes many of the Linden staff, and also independent scholars and musicians, professors, painters, physicists who run hands-on museums, ad executives, business professionals, students, mathematicians who explain hyperbolic space with aplomb, magicians who perform even when their hands get stuck in car doors, writers, IT directors, teenagers, illustration students willing to share their avatar making secrets, weekend Goths, vampires, old, young, straight, queer, able bodied and not, sushi experts, world record holding skydivers – even the griefers who rent party busses and cover corporate headquarters in chalk slogans. This is so true that even a week later I’m still thrilled by it. To be sure there is the happy conference bubble (short time frame, beer and free food make many things possible), but even accounting for that, the last thing Eshi Otawara said to me, standing outside of Lori's Diner before heading out for the day, rang true: It's about the sense of touch: "We can be anything we want in Second Life. Friends, even lovers, but in-world we can't hug." Unexpectedly for me, this became the proof I never knew I needed, confirming what I’ve known only with my eyes and my brain for the last few years: SL is real. You can touch it. Second Life is now in the downward slope of the Gartner Hype Cycle, and rather than being upset about this, I think we should rejoice: it took the dot com bubble bursting for the real value to emerge, and now that the novelty has worn off, those of us who are left standing can get down to the business of showing the world what really matters. Unfortunately this also means that we should see less direct support for our work, because Second Life in general, and our corner in particular, is so small from a business perspective that it amounts (in the words of Clay Shirky) to a rounding error. Moreover, our job as creative content creators is to push the boundaries of the universe, and the goal of any profitable company is to trend towards commodity users. It's not that we're at cross purposes exactly, but we certainly serve a different set of ideals. Again, I don't think this is cause for despair, but it does mean that we need to become ever more self reliant, and the onus on outreach is on us. If you are part of a professional community and you believe in virtual worlds, focus your attention on bringing your community to us - we can only be strengthened by connecting to the real world. You don't need to tell the world how amazing SL is, instead tell us the amazing things your RL communities are doing with SL. Inspire us. If you are an artist, work on connecting your in-world practice to those on the outside. Share your world, don't leave it locked inside a server somewhere. Go and get the audience, don't expect them to just show up. If you want something to happen technically, focus on supporting the open source communities that are trying to make it happen. Support the development of unofficial viewers. Think carefully about the need for Second Life alternatives, content portability and free reliable backups, not because you want to boycott Linden in a fit of pique, but because you care about this community and realize how fragile it is to hang on the future of a single corporation. Start truly respecting your work, because it really shouldn't be surprising (as I learned at SLCC) that someone like Ina Centaur pays her actors union wages. She said it herself: they are a professional theater company, why wouldn't I? Above all continue to push the boundaries of the universe in surprising and exciting ways because that's really the reason we're all here. And when someone asks you why you spend so much time online, or inquires as to the business value of virtual worlds, answer them loud and clear: It's all about the people, and the community, and what we continue to build together. My comments to Grace McD's recap of the SLCC09 Music Panel are somewhat similar. "It's true that the real force driving the virtual live performance experience is a primal need for "Connectivity" while the art itself (music, interactive, or whatever) is to some degree secondary. It is the context within which the need is fulfilled. Connectivity + Context = "Killer App"
Tez that was a really inspiring piece you wrote, I agree completely. You are not just a handsome boy model after all. Tee Hee! Tez I apologise for bringing this machinima out again, but .. I just can't seem to stop doing it. Wonderful. Lovely. My sentiments exactly. And lovely having that SLCC dim sum lunch and walk back to the hotel with you Tez, and Bettina too!